When you feel confident about how your teeth look, you’re more likely to smile boldly and genuinely share yourself with others. A smile makeover can do more than just change how you look—it can also improve your oral health. That’s why Dr. Salivonchik offers a wide range of cosmetic dentistry services at his Lehigh Valley dental office. He is ready to give patients from Allentown, Bethlehem, Easton, and beyond the bright and beautiful smiles they have always wanted. What would you like to change about your smile? Whatever it might be, he can make it happen, just give us a call today. Why Choose S. John Salivonchik, D.M.D., P.C. for Cosmetic Dentistry? Have you been considering a cosmetic change for your smile? Cosmetic dentistry is both a science and an art. In other words, crafting a pleasing smile takes a professional with years of experience, an eye for esthetics, and a strong attention to detail. As an experienced cosmetic dentist, Dr. Salivonchik considers the tooth shape, size, and color for each of his cosmetic dentistry patients. By doing that, he can ensure that the results of each smile makeover complement each patient’s facial features and dimensions. The best smiles look genuine—never overdone or unnatural. 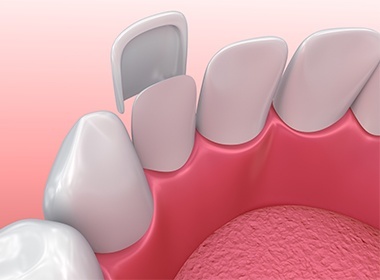 Porcelain veneers are extremely thin ceramic restorations that are designed to fit over the front of the teeth. They’re made to look exactly like pristine white enamel, and once in place, they can fix/mask a wide variety of cosmetic imperfections at the same time, including stains, chips, cracks, gaps, and even slightly crooked teeth. In just two appointments, you can get a custom-made set of veneers that completely transforms your smile and revitalizes your confidence. For patients in need of dental repair, we’re able to offer more than traditional gold/silver restorations. 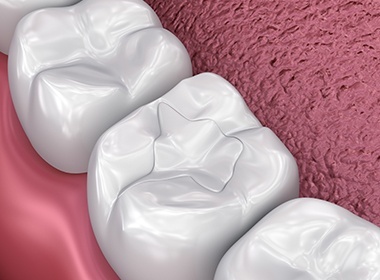 To renew teeth that show prominently in the smile, Dr. Salivonchik can use dental porcelain to create restorations that resemble real enamel in every way imaginable. This material looks, feels, functions, and even reflects light just like natural teeth, making it a seamless addition to any smile. This is the kind of dental work that looks nothing like dental work! Tired of that one discolored spot, chipped tooth, or thin gap throwing off the entire appearance of your smile? For a quick and conservative fix for small problems, Dr. Salivonchik can place composite resin directly onto any damaged or missing enamel. He can then shape it to perfectly blend with the tooth and hide any blemish. The procedure is 100% painless and usually just takes an hour, making it one of the most convenient services we offer. Whether your dental stains are due to coffee, wine, tobacco, aging, or just unlucky genetics, Dr. Salivonchik can help you dramatically brighten your teeth whenever and wherever you want. He can provide you with a custom-made set of mouth trays as well as a bleaching gel that is more concentrated than anything you can buy on your own. Just use our kit for an hour a day for a week or so, and your teeth can be 6-8 shades whiter! 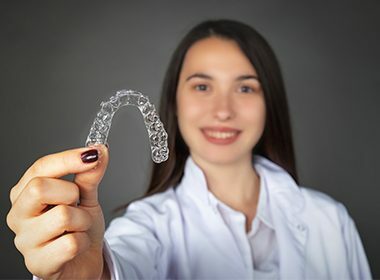 Straightening your teeth can dramatically improve both the health and appearance of your smile, and now, you don’t have to suffer through metal braces to do it. Invisalign practically disappears within the mouth and has a discreet look that friends and coworkers will never notice. How does it work? 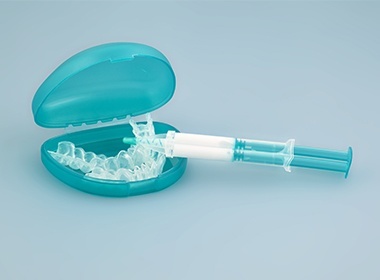 Invisalign uses a progressive series of clear plastic aligner trays to gently and efficiently shift the teeth, and you can even take them off whenever you need to eat or brush. Every smile makeover at our Coplay dental office begins with a consultation appointment. During your consultation, cosmetic dentist Dr. Salivonchik will thoroughly assess your oral health and talk with you about what changes you’d like to make to your smile. 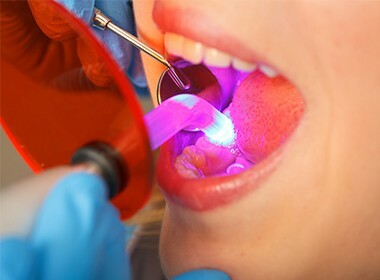 Then, after assessing your needs and discussing your preferences, Dr. Salivonchik will create a detailed treatment plan that will help you create a smile that delivers lasting satisfaction, instill pride, and improves self-esteem.